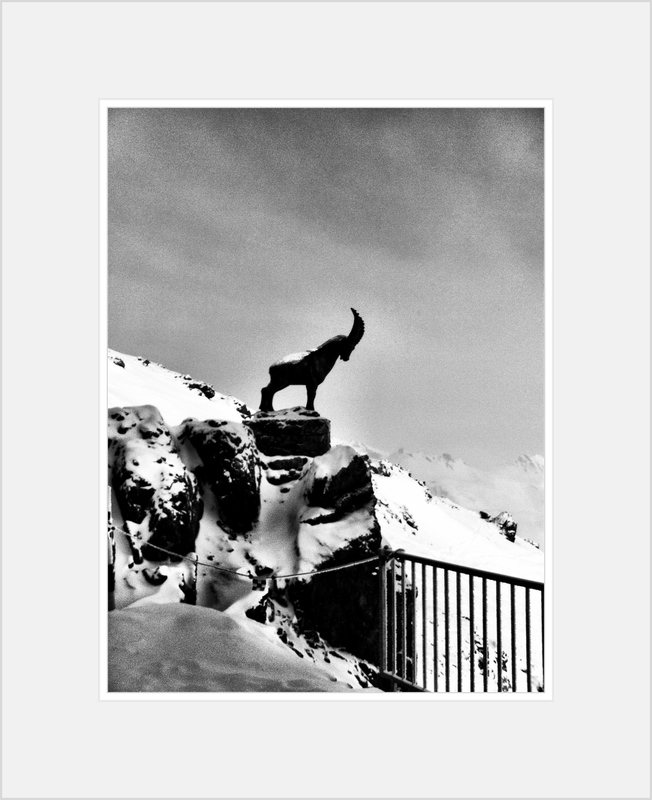 Saint Moritz. Glitz. Glamor. Snow. Furry boots. There’s a reason “ritz” is in the name. The city is just as popular among the jetset today as it was 50 years ago. St Moritz feels like a really upscale fairytale. Softly falling snow, gourmet chocolates, bustling pastry shops, chic shops in whimsical buildings and grandiose 5 star hotels. No wonder the likes of Grace Kelly and George Clooney have called St Moritz their winter retreat. Just getting off the train, I had this overwhelming sense that Saint Moritz was THE place to be “wintering.” It didn’t hurt that I was there just days before the “White Turf,” a series of equine competitions all held on top of the city’s now frozen glacial lake. I was experiencing the city in style, staying at the oldest and one of the most famous 5 Stars, the Kulm Hotel and skiing incredible ski area. Now this is what it’s like to live luxe. I only had two nights in the city and was quite busy filming, eating sumptuous breakfasts, checking out the spa & gym and exploring the town. 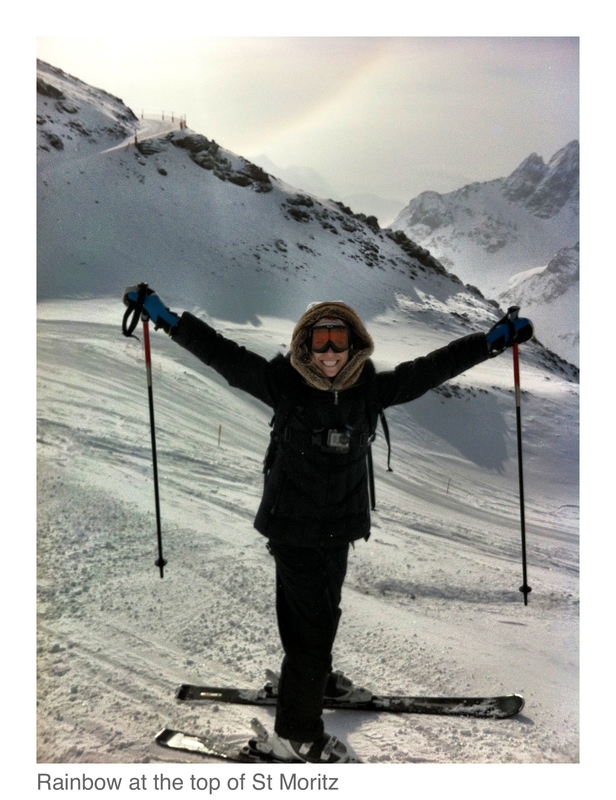 To be honest, I almost didn’t really feel like going skiing–trekking up to the hill in all my gear, freezing my buns off for a few runs just to say I did it. Wow was I wrong. My few hours skiing ended up being the best skiing of my life and probably the biggest highlight of the trip (which is saying A LOT). Not only did the Engadin Tourism board make the rental process and transport to the peak extremely easy (the funicular literally takes you from street to peak in around 10 minutes), but the mountain itself was just stunning. I still lose myself in the mental images of the incredible peaks, the perfectly groomed trails, the open spaces and lack of lift lines. 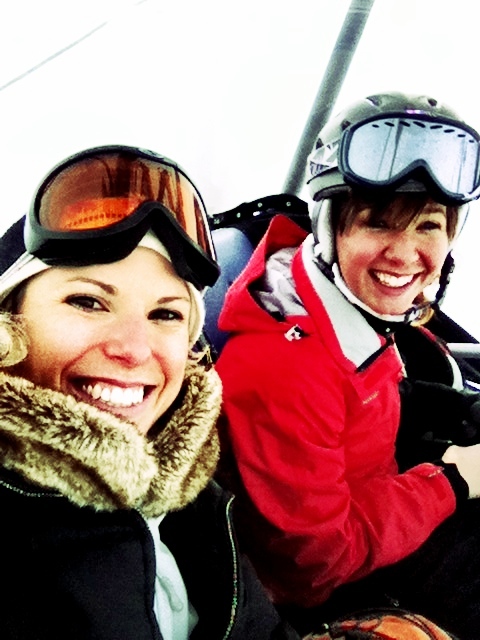 When Angela forced me to stop for lunch, I had the most delicious ski resort lunch of rosti with ham. I think she thought it was pretty funny how much I raved and I’m pretty sure my actual skiing wasn’t so pretty as I was so distracted. I told her that she was so so lucky to have this in her backyard and to be able to take a few runs on her lunch break (what!?). I indulged, as the Saint Moritz-ers do, in an apres ski gluwein at the Hauser’s lively outdoor bar before returning for a swanky evening of cocktail parties, night ice skating, a delicious dinner and a jazz concert at the Kulm. My adrenaline was still racing all evening from the amazing trails and I truly understood why St Moritz was the birthplace of the winter ski holiday. 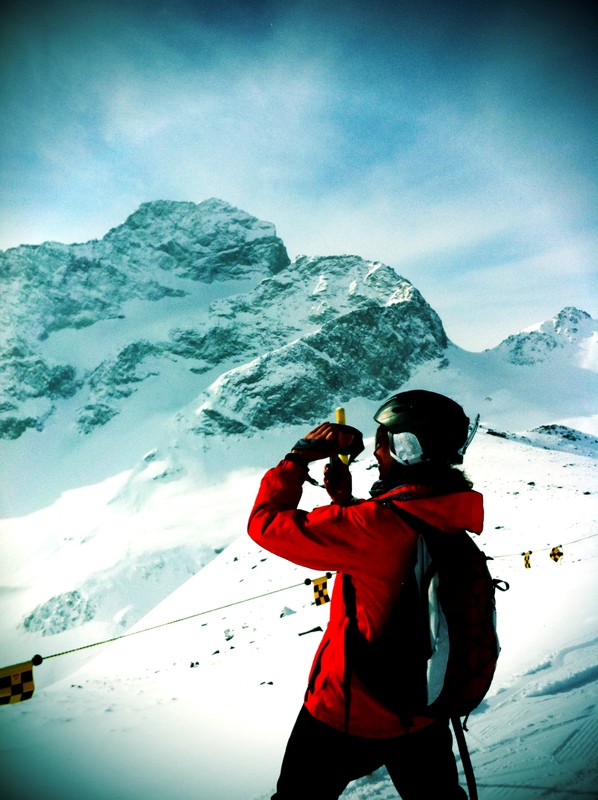 Stay tuned for more St Moritz fun at the historic, and opulent, Kulm Hotel St Moritz.